I would like to give a warm welcome to Nicole today. Nicole is a writer and editor at DogVills.com, a site dedicated to helping both new and seasoned dog parents lead the very best lives possible with their canine companions. She’s a pet parent to two dogs- a Pharaoh Hound named Freya & a Pit/Lab mix named Mocha. 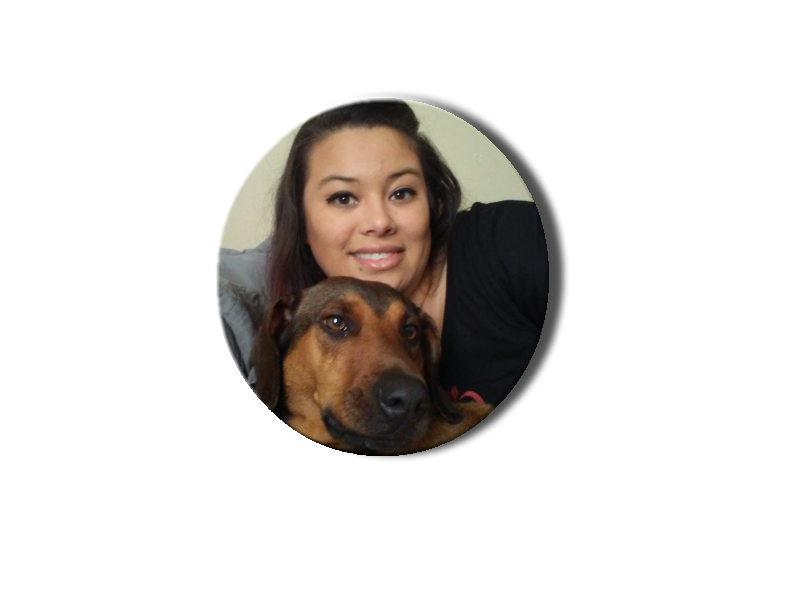 Nicole is here to talk a bit about different ways to strengthen your bond with your pup. So, let’s dive right in! Did you know that there’s a big difference between loving your dog and sharing a deep bond with her? Love is a feeling that comes naturally. I’ve loved all my dogs the moment I laid eyes on them. A bond, though, is something that must be nurtured, that grows over time. Love is a part of it, yes, but so is trust. As a dog mom, you know that trust is vital. There will be times you have to do things your dog doesn’t exactly enjoy, like take them to the vet or administer medication. Having a dog that trusts you makes a HUGE difference, believe me! Fortunately, bonding with your dog isn’t really all that difficult if you’re willing to put the time into it. Whether you have a brand-new pup or just want to solidify your relationship with your older dog, these fun activities to bond with your dog will help! Dog training is quite possibly the best way to bond with your dog, especially when they’re puppies. Think about it: we spend A LOT of time with our dogs during that time because we have to be completely tuned in to prevent potty accidents, teach them to come, and so on. Then, once they’ve mastered the basics, we suddenly stop. That has to be confusing for our dogs, don’t you think? They go from having your full attention for a good chunk of the day to getting absent-minded pats on the head and the old “I’ll play with you later” brush off. Training doesn’t have to end with mastering basic commands, though! Once your dog has those down pat, start working on clever tricks! My girl Freya LOVES training games. I just have to say, “let’s play training!” and she comes running. Then I spend time teaching her new tricks, like how to wait for a treat, how to “sit pretty,” (she sits and simultaneously lifts her paw), and so on. We even do “coursework” in the living room with a laser pointer. This summer, we’re planning to build her an entire obstacle course in the backyard. Don’t believe that old cliché that you can’t teach an old dog new tricks, either. You can find fun training games for dogs of any age. Even when my German Shepherd was 14 years old, she still loved learning and showing off new skills. We just had to adapt them to her mobility issues. Take your pup on fun outings! Have you noticed that there are more and more pet-friendly places every day? If your pooch is okay with going for rides in the car, find some stores that allow dogs and take them on special outings! In fact, even if your dog is nervous in the car, taking them to an exciting new place can help them get over it. I had a dog that hated the car with a fiery passion…until we took him to a popular pet supply store and let him “pick out” his own treat. I would also take him on little rides to pick up my son from the bus stop. He soon realized that the car didn’t just mean a trip to the vet and actually got excited about going for rides! There are many different types of dog training- including several that do not involve punishment- but I’ve found that straight-up reward training works best for my dogs. My Pharaoh Hound ONLY responds to reward-based reinforcement. Her breed is very much a “what’s in it for me?” breed, and she will completely shut out any “negative” reinforcement. Food works best for Freya, but I also deliver it with a side of praise and affection. You don’t have to go overboard with the “dog mom voice” (don’t deny it, you know you have one) and the snuggles. A simple rub on the head and a “good girl!” helps solidify your bond during training time. Adding affection to your training also helps your dog see you as a reward! This is super helpful when you’re out and about with your dog and don’t have any treats on hand. Plus, nearly all of my dogs over the years have flat-out refused to eat in public, so I definitely needed an alternative for trips to the vet and what not. While dogs definitely thrive on routine, you can still throw in a few fun surprises for them every now and then. My dogs go absolutely crazy when they see a box from a popular online pet store. They know the logo on the side, know that it has something special for them in it. I try to order them little surprises every couple of weeks. You don’t have to spend money to surprise your pooch, though. Freya loves playing “dot,” (laser pointer). It’s her favorite game in the whole wide world. We usually have specific “dot” play times, otherwise, she’ll get out of control begging to play. However, every now and then, I surprise her with a mid-afternoon game. Her face lights up when she sees me going for the drawer. At first, I thought these surprise games would throw off her routine and she’d start begging to play all of the time again. However, by mixing in off-schedule games, she actually begged less. While this isn’t really an activity to bond with your dog, it’s incredibly important to building trust. Not all dogs are snugglers. Freya, for example, can be very standoffish during the day. She’s a very busy dog and she doesn’t have time to hug and kiss. In fact, if you try to pet her, she’ll jump back out of your reach. It’s not that she doesn’t love us, she just doesn’t want to cuddle at that moment. At night, however, she loves to snuggle on the couch and watch TV. She also needs morning cuddles before she’ll leave the bed. It’s part of her routine. She sleeps with my mom, who lives with me, but I have to go up every morning and sing, “Good morning, Pharaoh Hound!” She gives me nose nips (her version of a kiss), then she’s ready to start her day. As you strengthen your bond, you’ll learn your dog’s body language and cues. Respect them and teach the other members of your family, especially your kids, to respect those cues as well. Don’t force snuggles on a dog that just isn’t that into them. Forming a deep bond with your dog takes time, just like it takes time to bond with new people. It’s totally worth it, though!